Pink extravaganza made for the coming spring. I will celebrate the return of the sun and the meltdown of all snow. 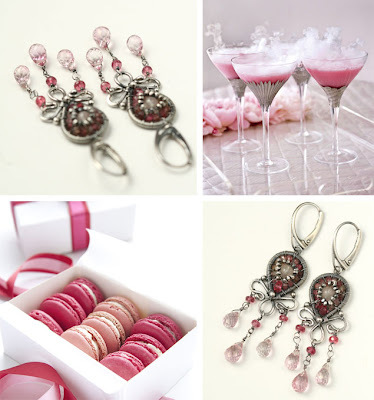 Cocktails, sweets and a pink dress will go fine with these earrings, don´t you think? They are quite dainty even though they are long. Not even an inch wide. But they are long so you will still make a statement wearing these. More pictures in my shop. 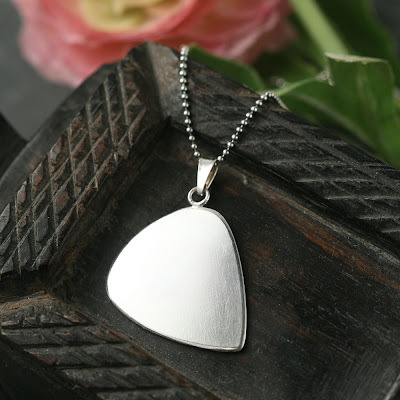 It´s a lovely design, which easily can be turned into a pendant. 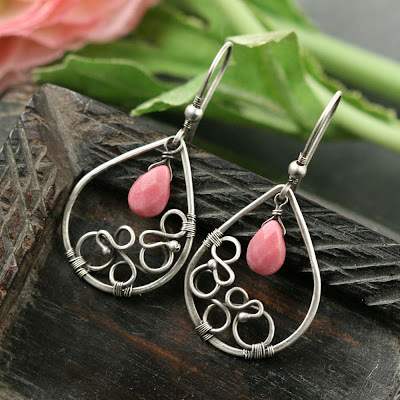 Only make them with 16 or 14 gauge wire instead of 18. 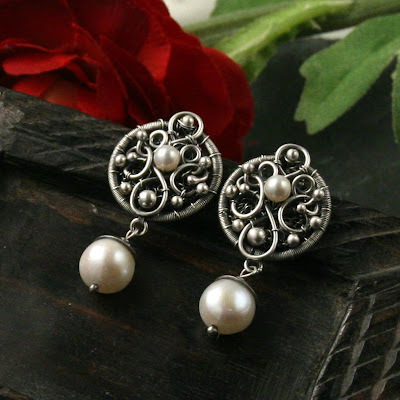 Keep track of Etsy treasuries you are featured in! Attention Etsy sellers! Lovely Craftopolis now offers an easy way to keep track of the Etsy treasuries you are featured in. Just type your Etsy username and voilá - you can see the treasuries you are featured in. This also includes the Treasury West. 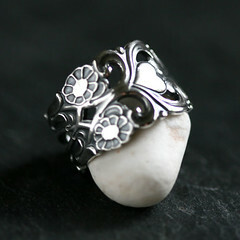 You can also see who hearts your shop and items and features in Etsy gift guides. 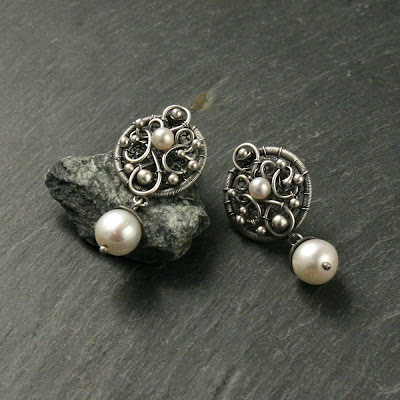 New pair of my top seller - Taj mahal earrings - listed in my Etsy shop. 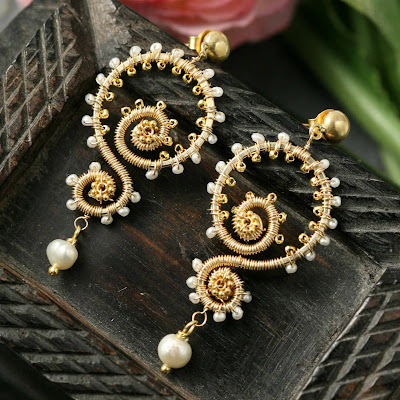 This version has 14k goldfilled and freshwater pearls. 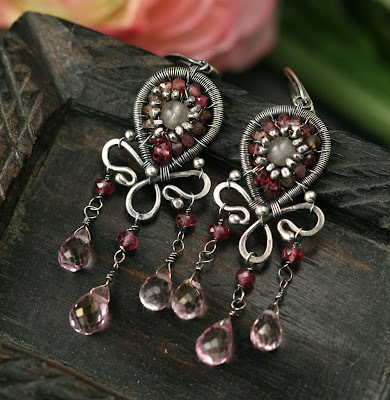 I´m also going to post a tutorial for these earrings any day. I´m proud of the sterling guitar pick for my nephew who´s in a band. 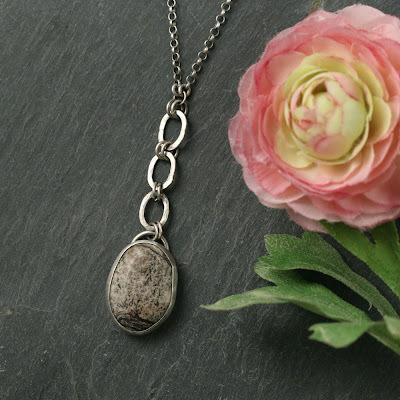 The jasper pendant.... hm....I´ll keep out of all close ups. Soldering the bezel to the backplate wasn´t totally succesful, but it´s ok.
Yepp, they do look like I´ve made them. Feels like I´m caught making the same design over and over again. But I guess it´s like that sometimes. Certain designs need your attention for a while before you feel finished with them.